In this essay based around themes he’ll touch on in his upcoming book Ghosts of My Life, Mark Fisher—the noted blogger known as K-Punk and the author of Capitalist Realism: Is There No Alternative?—finds the veiled melancholy of 21st century pop through James Blake, Kanye West, Drake, and Darkstar. A certain trajectory seems to have come to an end with James Blake’s new album, Overgrown. Blake has gone from digitally manipulating his own voice to becoming a singer; from constructing tracks to writing songs. The initial motivation for Blake’s early work no doubt came from Burial, whose combination of jittery two-step beats and R&B vocal samples pointed the way to a 21st century pop. It was as if Burial had produced the dub versions; now the task was to construct the originals, and that entailed replacing the samples with an actual vocalist. Listening back to Blake’s records in chronological sequence is like hearing a ghost gradually assume material form; or it’s like hearing the song form (re)coalescing out of digital ether. A track such as “I Only Know (What I Know Now)” from the Klavierwerke EP is gorgeously insubstantial—it’s the merest ache, Blake’s voice a series of sighs and unintelligible pitch-shifted hooks, the production mottled and waterlogged, the arrangement intricate and fragile, conspicuously inorganic in the way that it makes no attempt to smooth out the elements of the montage. The voice is a smattering of traces and tics, a spectral special effect scattered across the mix. But with Blake’s self-titled debut album, something like traditional sonic priorities were restored. The reinvention of pop that his early releases promised was now seemingly given up, as Blake’s de-fragmented voice moved to the front of the mix, and implied or partially disassembled songs became ‘proper’ songs, complete with un-deconstructed piano and organ. Electronics and some vocal manipulation remained, but they were now assigned a decorative function. Blake’s blue-eyed soul vocals, and the way that his tracks combined organ (or organ-like sounds) with electronica, made him reminiscent of a half-speed Steve Winwood. Many who were enthusiastic about the early EPs were disappointed or mildly dismayed by James Blake. Veiling and implying an object is the surest route to producing the impression of sublimity. Removing the veils and bringing that object to the fore risks de-sublimation, and some found Blake’s actual songs unequal to the virtual ones his early records had induced them into hallucinating. Blake’s voice was as cloyingly overpowering as it was non-specific in its feeling. The result was a quavering, tremulous vagueness, which was by no means clarified by lyrics that were similarly allusive/elusive. The album came over as if it were earnestly entreating us to feel, without really telling us what is was we were supposed to be feeling. 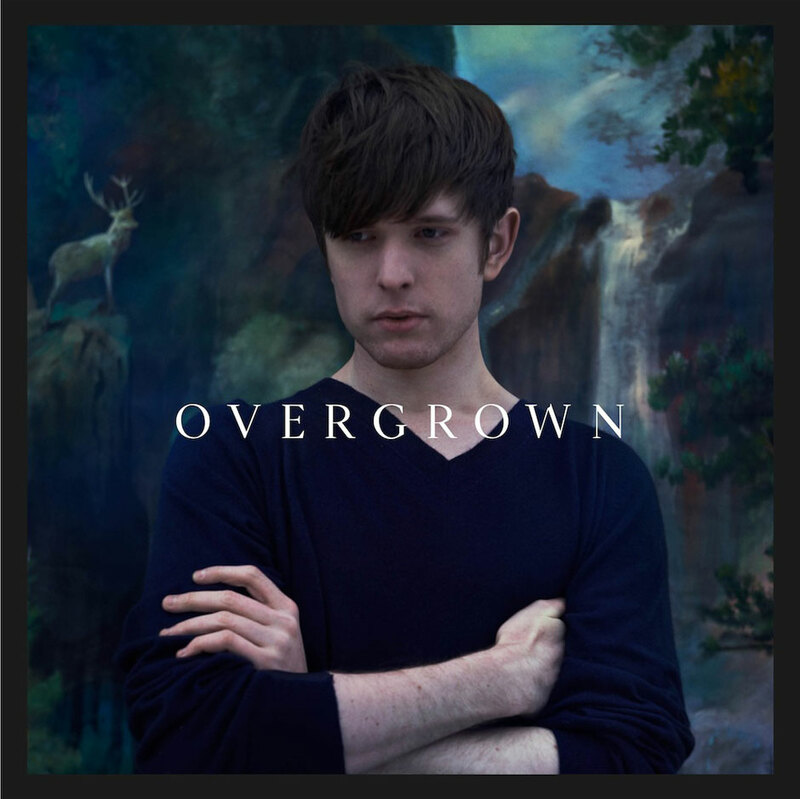 Perhaps it’s this emotional obliqueness that contributes to what Angus Finlayson, in his review of Overgrown for FACT, characterizes as the strangeness of the songs on James Blake. They seemed, Finlayson says, like “half-songs, skeletal place-markers for some fuller arrangement yet to come.” The journey into ‘proper’ songs was not as complete as it first appeared. It was like Blake had tried to reconstruct the song form with only dub versions or dance mixes as his guide. The result was something scrambled, garbled, solipsistic, a bleary version of the song form that was as frustrating as it was fascinating. The delicate insubstantiality of the early EPs had given way to something that felt overfull. It was like drowning in a warm bath (perhaps with your wrists cut). On Overgrown, the post-rave tricks and tics have been further toned down, and the album is at its weakest when it limply flirts with the dancefloor. Piano is still the lead instrument, but the chords hang over a backing that is almost studiedly anonymous—a luxuriantly warm pool of electronics where the rhythm is propelled more by the gently eddying bass rather than the beats. Like James Blake, though, Overgrown repays repeated listening. As with the first album, there is a simultaneous feeling that the tracks are both congested and unfinished, and that incompleteness—the sketchy melodies, the half-hooks, the repeated lines that play like clues to some emotional event never disclosed in the songs themselves—may be why it eventually gets under your skin. Blake has said that, by contrast with his debut, Overgrown sounds like the work of a man who has experienced love. For me, it is as emotionally enigmatic as its predecessor. The oddly indeterminate—irresolute and unresolved—character of Blake’s music gives it the quality of gospel music for those who have lost their faith so completely that they have forgotten they ever had it. What survives is only a quavering longing, without object or context, Blake coming off like an amnesiac holding on to images from a life and a narrative that he cannot recover. This “negative capability” means that Overgrown is like an inversion of the oversaturated high-gloss emotional stridency of chart and reality TV pop, which is always perfectly certain of what it is feeling. But what is the faith that Overgrown has lost? Blake’s development has paralleled that of Darkstar, who similarly moved from the tricksy , tic-y vocal science of “Aidy’s Girl is a Computer” to the chilly melancholia of their first album, North. Their new record News From Nowhere has a brighter, dreamier feel, but, as with Overgrown, it is notable for its lack of designs on the dancefloor. In a discussion that Simon Reynolds and I had about UK dance music, Reynolds argued that the “emotional turn” represented by Blake and Darkstar was an implicit acknowledgement that “dance music no longer provides the kind of emotional release that it once did, through collective catharsis.” The music doesn’t have to be explicitly sad for this to be the case—there is a melancholia intrinsic to the very turn inward. As Reynolds points out, the idea that ’90s dance music was unemotional is a fallacy. This was a music saturated with affect, but the affect involved wasn’t associated with romance or introspection. The twinning of romance and introspection, love and its disappointments, runs through 20th century pop. By contrast, dance music since disco offered up another kind of emotional palette, based in a different model of escape from the miseries of individual selfhood. In the 21st century, there’s an increasingly sad and desperate quality to pop culture hedonism. Oddly, this is perhaps most evident in the way that R&B has given way to club music. When former R&B producers and performers embraced dance music, you might have expected an increase in euphoria, an influx of ecstasy. Yet the digitally-enhanced uplift in the records by producers such as Flo-Rida, Pitbull and will.i.am has a strangely unconvincing quality, like a poorly photoshopped image or a drug that we’ve hammered so much we’ve become immune to its effects. It’s hard not to hear these records’ demands that we enjoy ourselves as thin attempts to distract from a depression that they can only mask, never dissipate. A secret sadness lurks behind the 21st century’s forced smile. This sadness concerns hedonism itself, and it’s perhaps in hip-hop—the genre that has been most oriented to pleasure over the past 20-odd years—where this melancholy has registered most deeply. Drake and Kanye West are both morbidly fixated on exploring the miserable hollowness at the core of super-affluent hedonism. No longer motivated by hip-hop’s drive to conspicuously consume—they long ago acquired anything they could have wanted—Drake and West instead dissolutely cycle through easily available pleasures, feeling a combination of frustration, anger, and self-disgust, aware that something is missing, but unsure exactly what it is. This hedonist’s sadness—a sadness as widespread as it is disavowed—was nowhere better captured than in the doleful way that Drake sings, “we threw a party/yeah, we threw a party,” on Take Care’s “Marvin’s Room”. James Blake’s Overgrown is out now via ATLAS/Polydor and he plays live at Electronic Beats Festival in Cologne on May 16th.